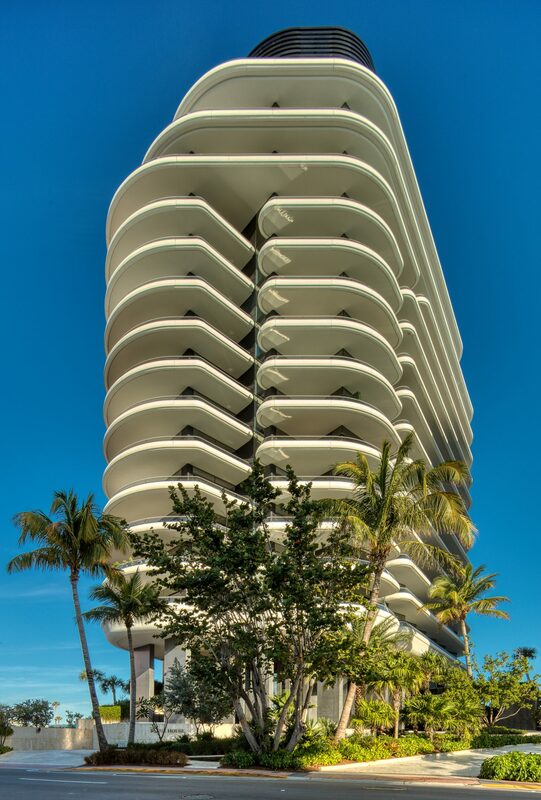 Faena House | Raymond Jungles, Inc. 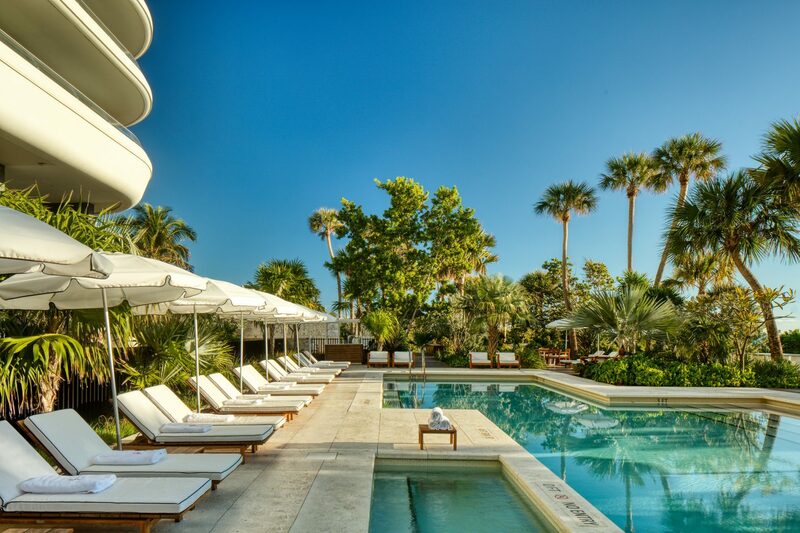 The design of the gardens at Faena House draws inspiration from the architectural elements by Foster + Partners as well as the history of Florida’s natural systems. Elements of sight and sound emphasize the need for simplicity within the landscape. 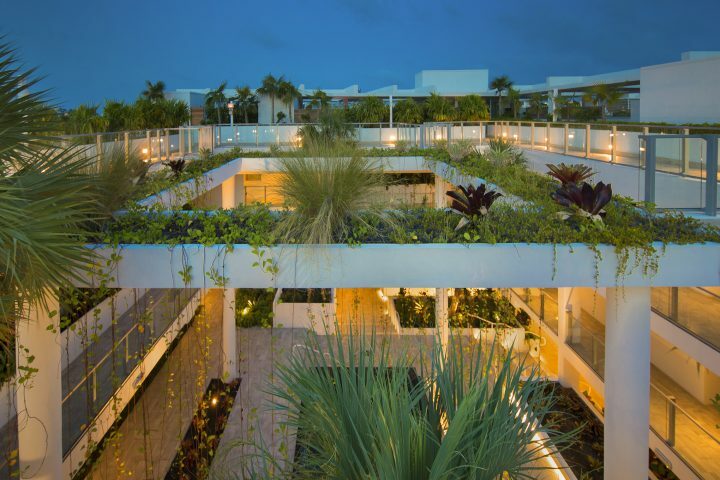 There is an intrinsic indoor-outdoor connectivity with spaces and views flowing from street to ocean. The design mimics the changing geometries of nature, fused with the clean architectural elements of the built surroundings. 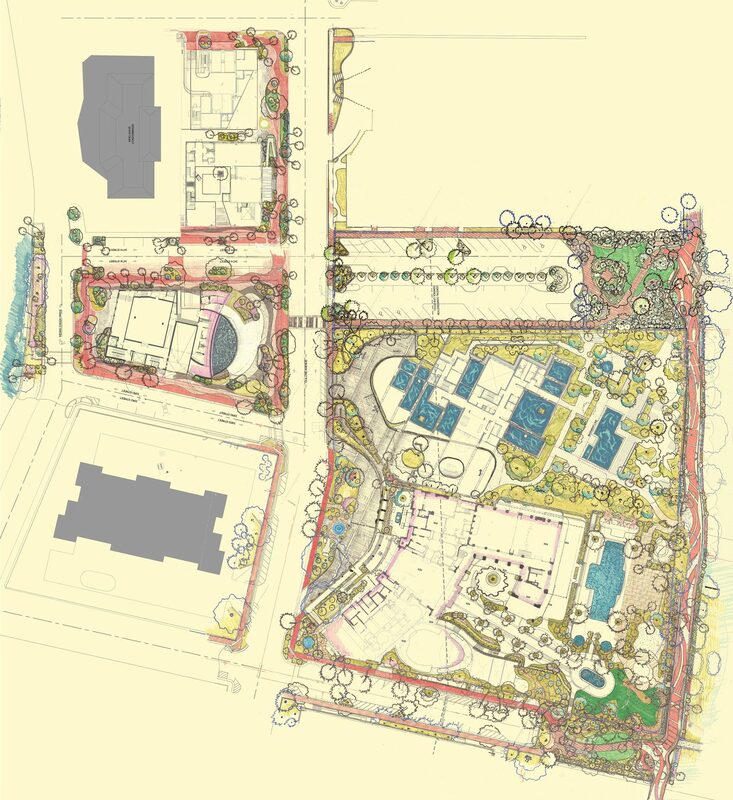 The introduction to the building’s entry is slowly revealed through layers of planting and elevations of pathways. A variety of unique spaces and moods are enjoyed within the site. There is a shared language of modern intervention, from the architecture to the landscape. Native plantings weave throughout the exterior, drawing on the region’s remarkable biodiversity while integrating the visual and lived experience. 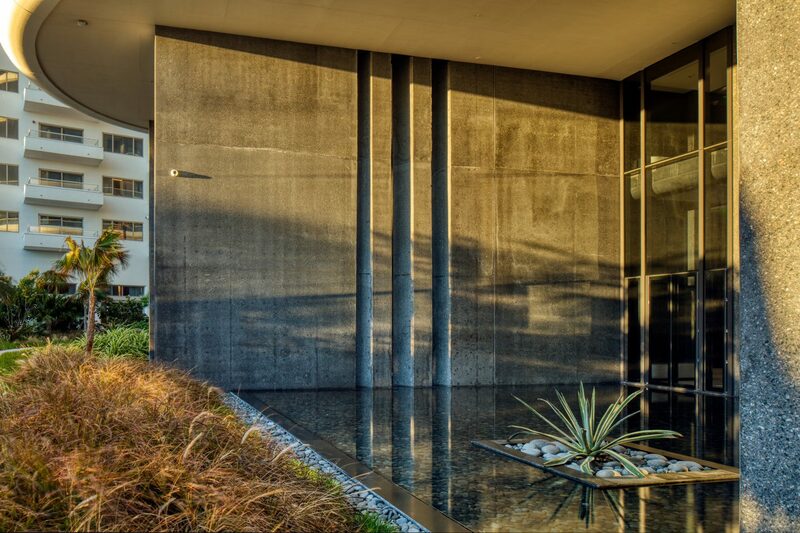 Focus is drawn to the viewpoints and areas of contemplation within the garden spaces. Movement within the landscape is encouraged, from shifts in form and height of the reinstated dune system to the subtle transition of shade and light. Texture and color embrace each other, from the soft silver leaves of the Silver Buttonwood trees to the rough red trunks of the Gumbo Limbo trees. 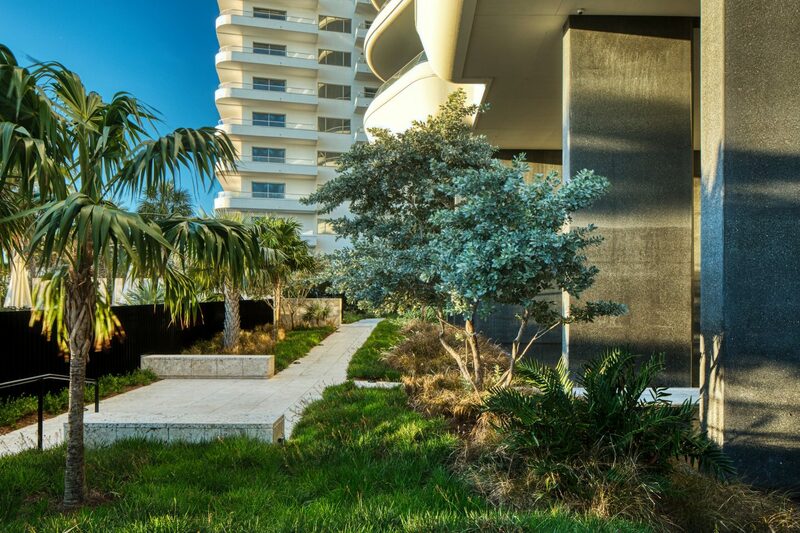 Seagrape trees and palm trees elongate views to the ocean and shield views to the street. The native plantings provide the lowest need for maintenance and the highest chance of preserving habitat. The garden is timeless, and appears pre-existent. Water elements unify the landscape and architecture, provoking exploration of each body of water by residents and guests alike. 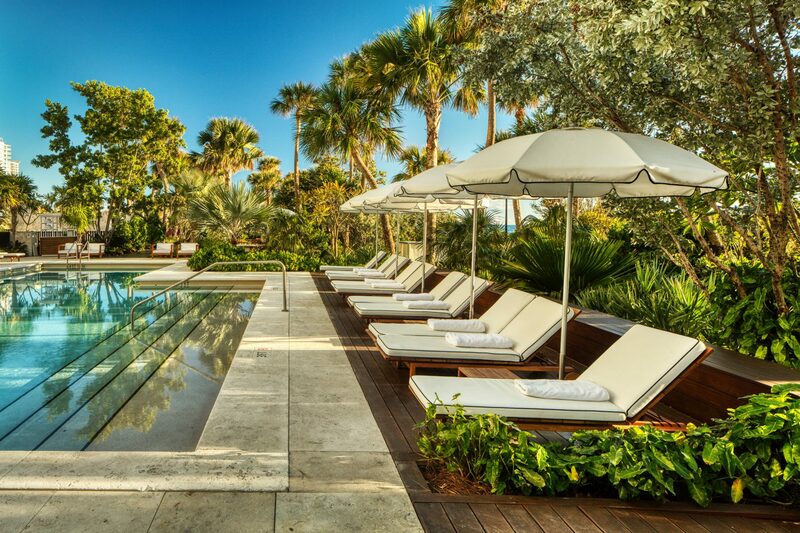 The spacious pool deck paired with relaxed, lightweight, multi-use site furnishings allow residents and their guests to create their own lounge areas facing the pool or the ocean. 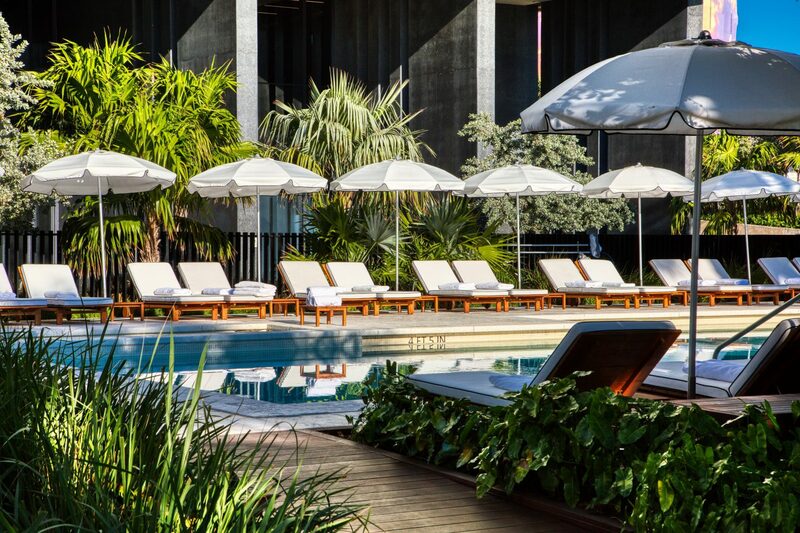 The main swimming pool is more traditional in depth and is long enough for morning laps. 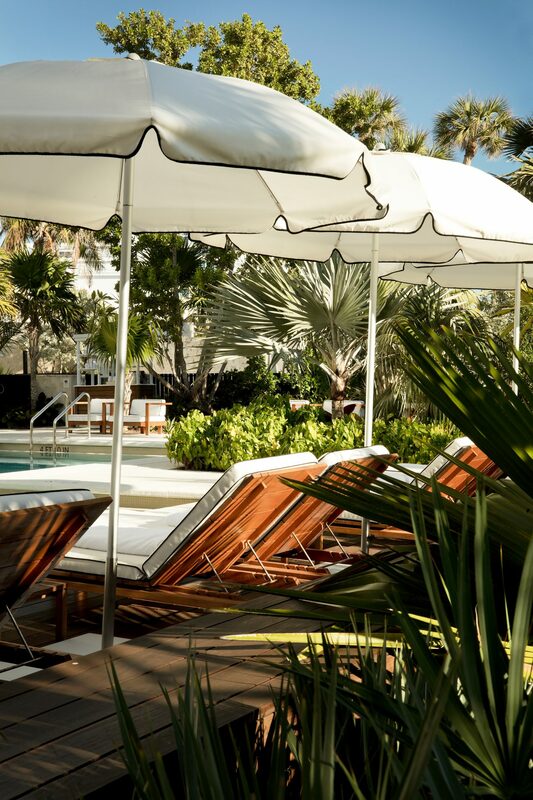 As the day progresses and shade begins to blanket the sunny areas, the boardwalks and pool area transition into outdoor relaxation areas. 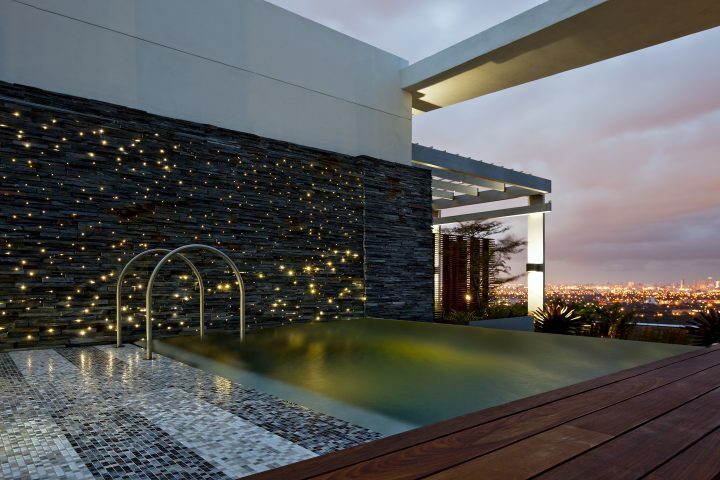 While the various water features cool the spaces during the day, dancing flames from the fire pit will create a warm retreat and casual, social setting in the night. 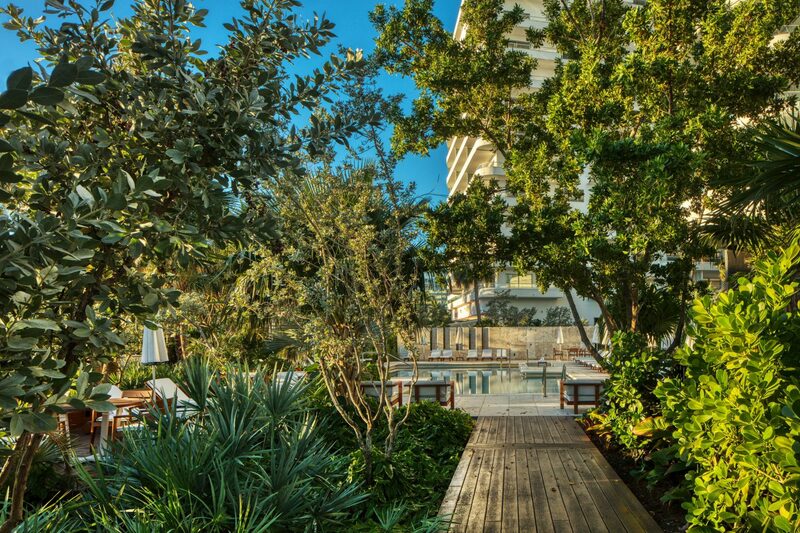 A naturalistic beach area is just east of the pool area. 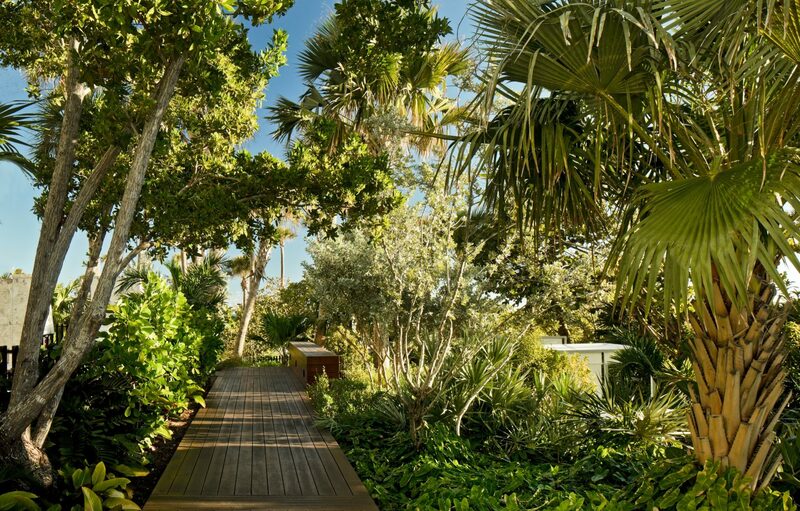 It serves as respite from the more structured garden, and an introduction to the natural edge of the beach and dune system. 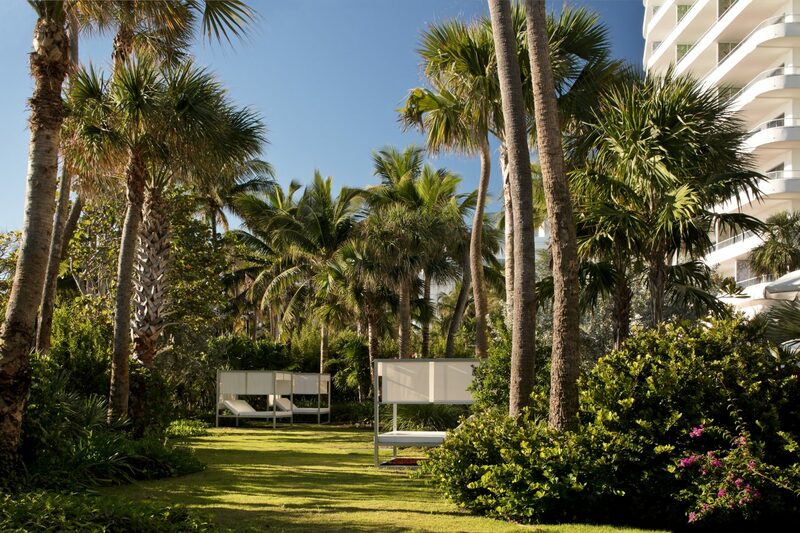 Sand and movable furnishings create flexibility in the use of the spaces tucked into the garden. 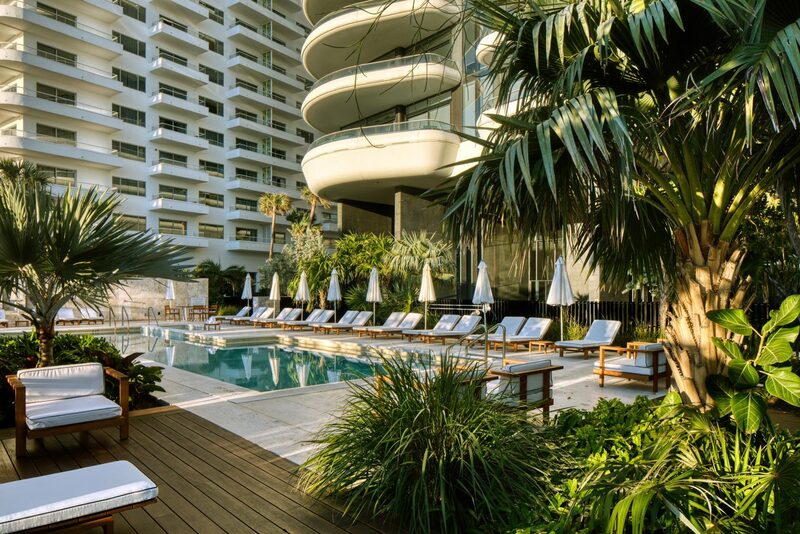 The Pool Garden and Pool are intimately integrated with the elegant architecture in form and spirit. Large slabs of coralina stone impart a casual, yet grand surface with strategically placed, relaxed, comfortable, lounging furniture. Ipe sun decks with low, luxurious chaise lounges speak of seaside residential estates. 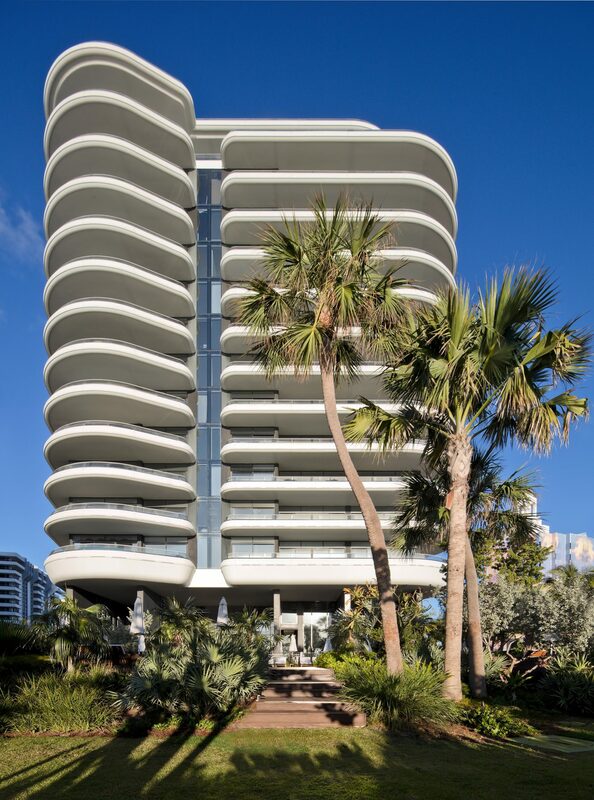 Perched at the highest elevation east of the residential tower, the user captures filtered views to the horizon line and blue Gulfstream waters beyond.